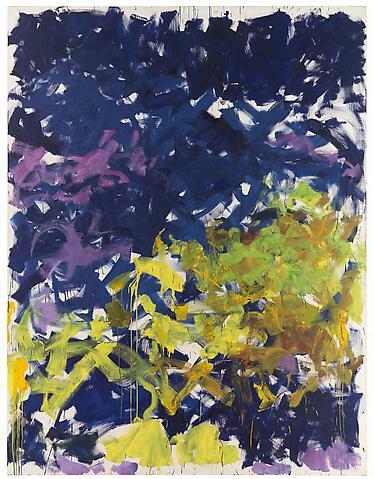 Joan Mitchell is one of my favorite artists. I was disappointed to find that there was only one of her paintings in the Abstract Expressionism exhibit at The Museum of Modern Art on view now. I wish I lived in Beverly Hills. If I did, I could view fourteen of her gorgeous works at the Gagosian Gallery. The Last Decade includes paintings from the last ten years of her life when she lived in France. I highly recommend making time for this wonderful exhibition which runs from November 13 through December 23, 2010. You can make it a present to yourself. I'll guess I'll have to make due with the catalog. Sigh.